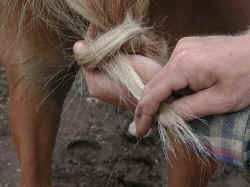 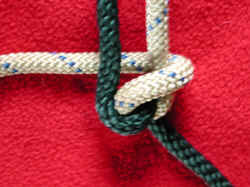 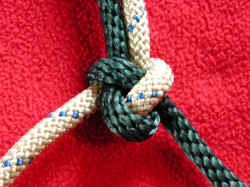 Photos of war knots, showing the tying sequence using both colored ropes and a horse's tail. 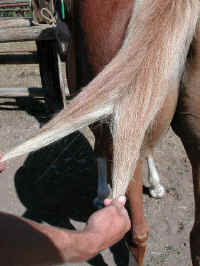 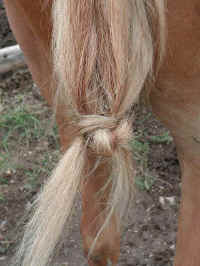 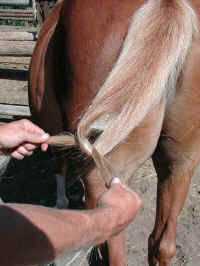 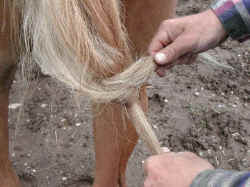 take the strand on the left (white) up and around the front of the horses tail and bring it around to the back, counterclockwise. 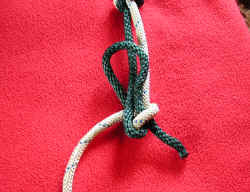 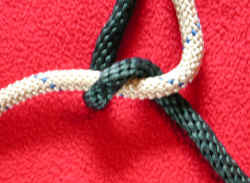 Bring the right (green) strand up and around the back clockwise and put the end of the right strand strand through the loop formed by the left strand in step two. 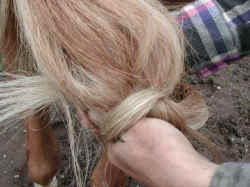 A version of the article on "War Knots" appears in August, 2000 Western Horseman Magazine.